Casper was the venue for the most recent round in the AR World Series as the Cameco Cowboy Tough welcomed international teams to the big skies and wide open spaces of Wyoming. Winners for the past 3 years have been Team Tecnu and they returned to try for a fourth title but with an entirely new team comprising 3 Canadian racers and multiple World Champion Stuart Lynch of New Zealand. They were up against three of their former team who had broken away to form Team Adventure Medical Kits and this was the first time the two teams had faced off – a sporting shoot-out in cowboy country! Canada AR, Yogaslackers (USA), The North Face Adventure (Hong Kong) and the Swedish Armed Forces Adventure Racing Team were among the other highly ranked teams also hunting for the title. The race began at the Crossroads Adventure Park just outside Casper and in the early stages of the race there were several local challenges which are a feature of the race. 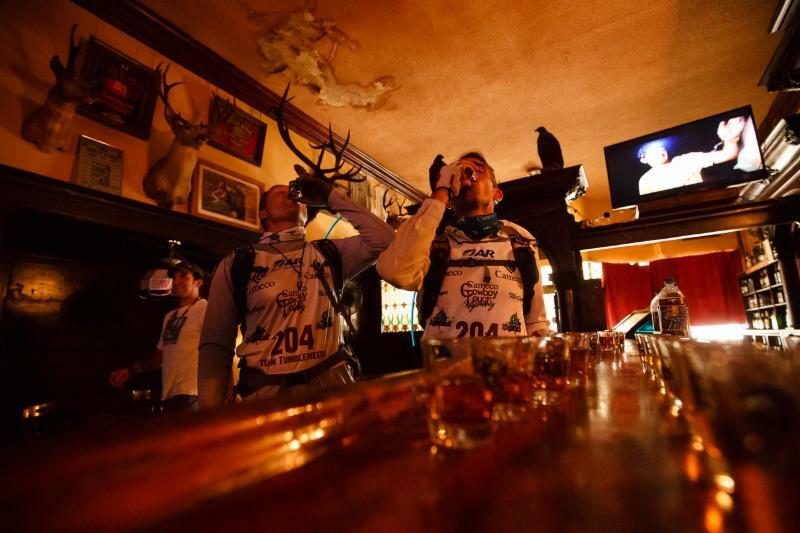 These included finding a checkpoint in a railroad sleeping car, taking a ‘selfie’ of the team with a Jackelope (not a real one) and trying some Wyoming whiskey! The course featured 10 transitions, short stages (by expedition racing standards) and more biking than trekking. There was a high ropes stage in the mountains with both abseiling and ascending, and early on a long canoeing section on the North Platte River. There were also optional checkpoints and the winning team would be the one taking the most checkpoints over the 3.5 days of racing. The race was expected to be fast and tactical, but in the case of the winners it was all about speed! 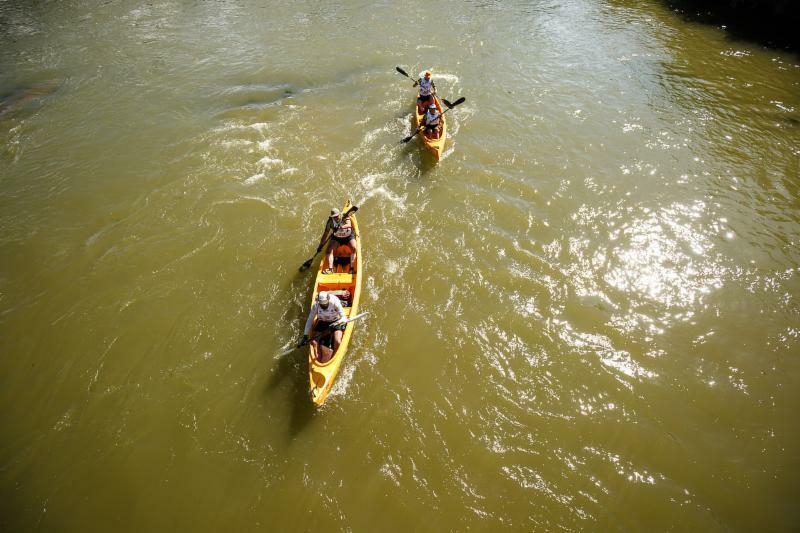 The leading teams were close in the early stages and moving fast so that by the time they reached TA04 the top 4 teams were held to wait for daylight before they could continue paddling. (Time credits were given to the 5 the top teams, who had the bonus of a rest while they waited.) When they resumed Adventure Medical Kits and Tecnu pulled away, with the Swedish Armed Forces Team unluckily suffering from mechanical problems with their bikes which set them back. 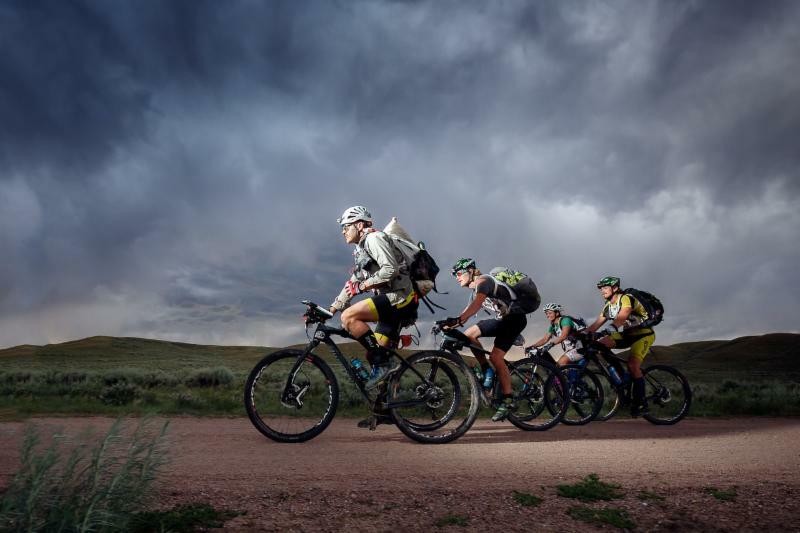 Conditions were hot and windy but the pace was still unrelenting and by the time the leaders reached Laramie Peak, which was a 4000 foot climb for an optional checkpoint, they were side by side, racing for the summit. The pace, heat and intensity of competition were unrelenting and when Tecnu began to suffer with stomach upsets Adventure Medical Kits broke away on the descent. Tecnu chose to sleep for a couple of hours but their rivals pushed on to take the win. Tactics were simple … to get all the checkpoints at speed – which they did!